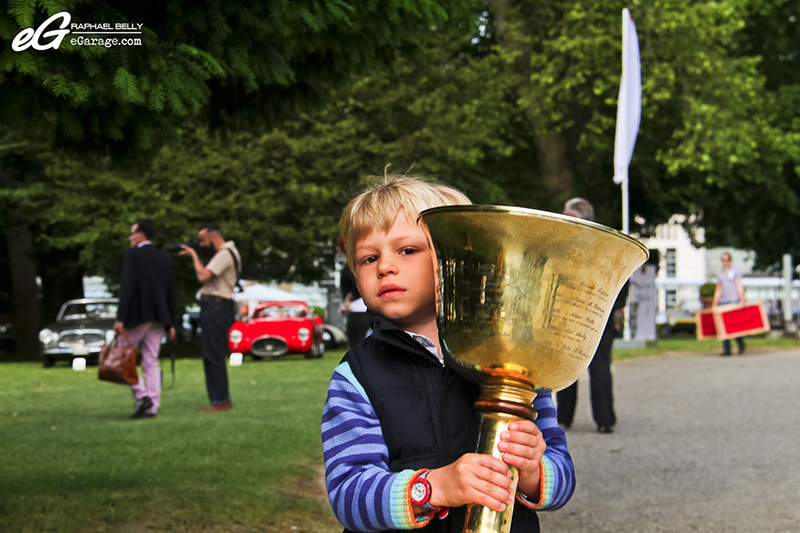 The basis of a Concours d’Elegance is to gather classic collector cars in a nice place, sorted and judged in different classes. A jury composed of important people from the automotive world looks at the cars in detail and selects winners according to the design, state, and provenance. 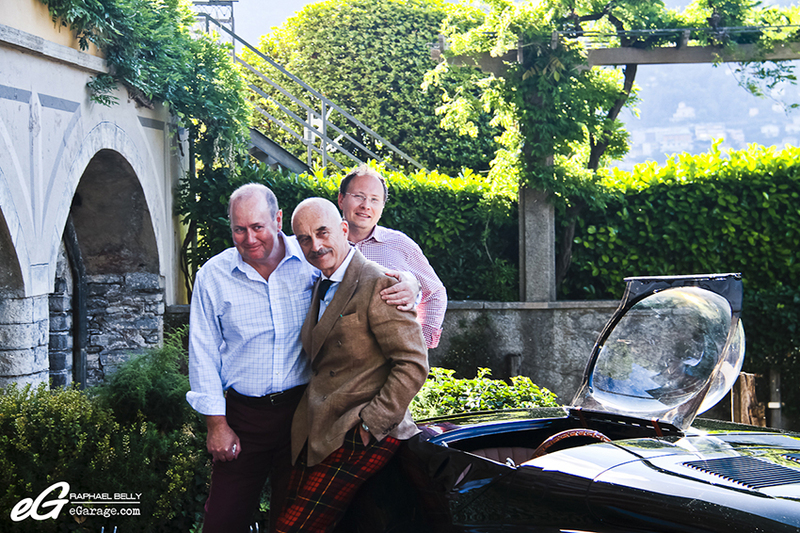 Set up by BMW Group, the Concorso D’Eleganza Villa D’Este is hosted by the Villa D’Este, a Renaissance patrician residence in Cernobbio on the shores of Lake Como, Italy. With its 100,000 m2 (park + villa) the compound is vast and impressive. Last year’s weather was chaotic with a lot of rain and near zero degrees temperature! But this year we are lucky since we had only a little bit of rain. 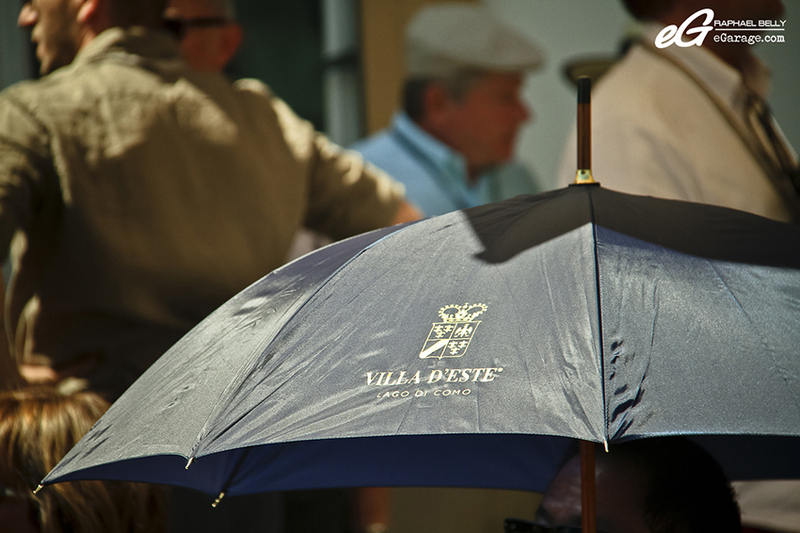 Far before the camera, the umbrella will be your best friend during the Concorso D’Eleganza Villa D’Este. Most of the time it will help you not to sunburn but you also may need it to avoid the destruction of your dear camera. 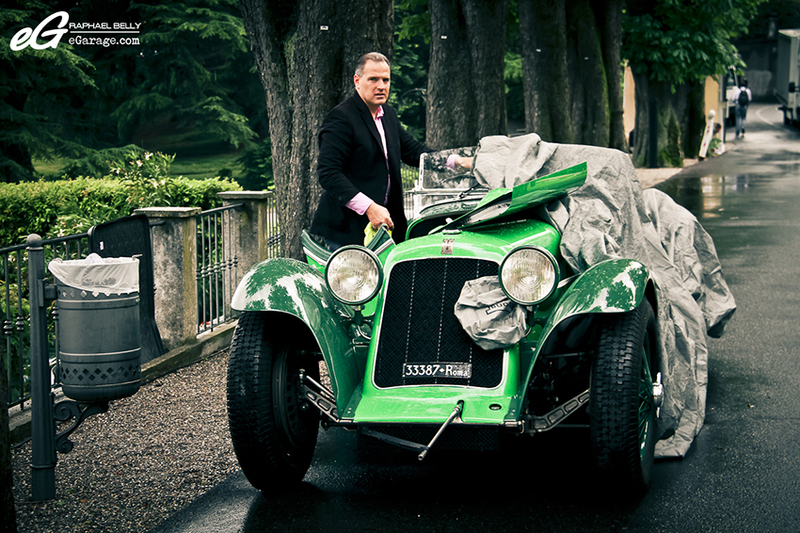 A Concorso D’Eleganza Villa D’Este without (more or less) rain wouldn’t be a great challenge. 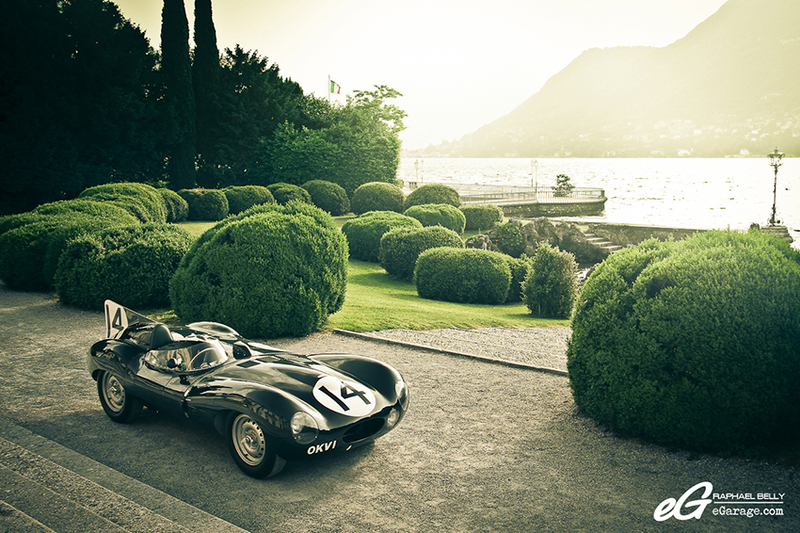 The magnificent cars gathered in the Villa d’Este gardens, one of the world’s leading hotels, help you forget the rain. 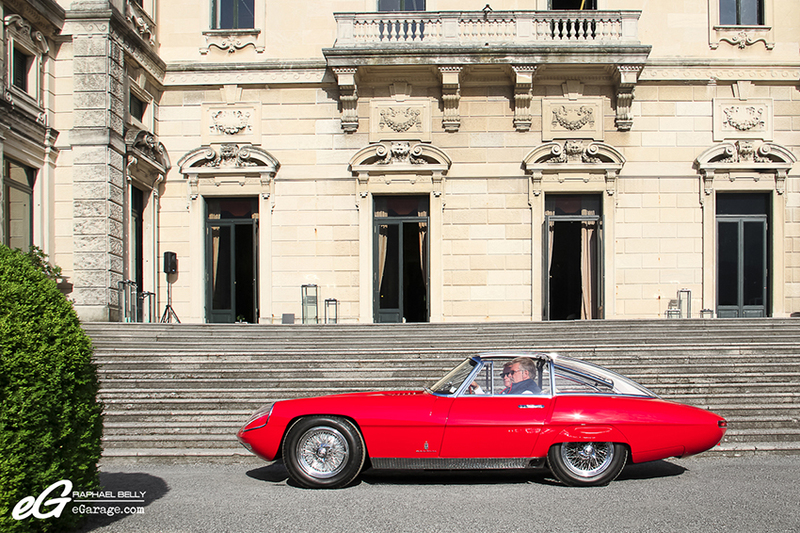 The official opening days of the Concorso are Saturday and Sunday. But Friday is the opportunity to see the cars unloading off the trucks. 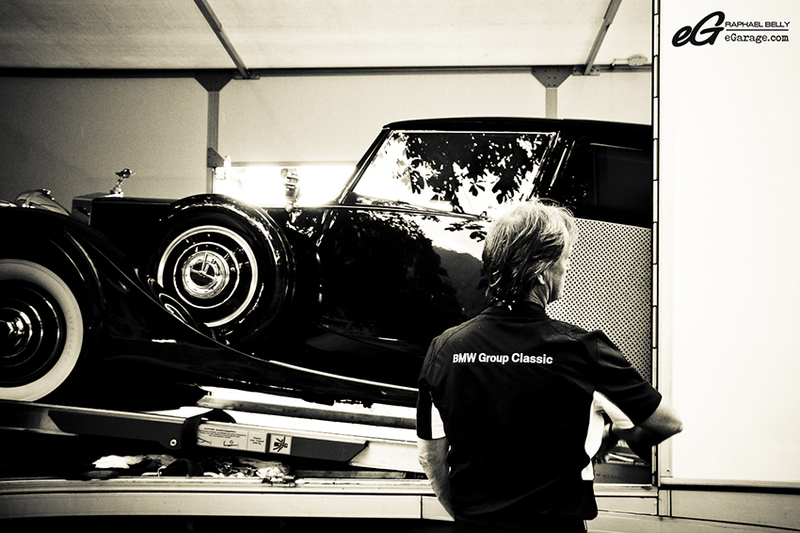 The BMW Group Classic staff welcomes the trucks at the main entrance and shows them where they can park to unload the cars. They then show them the way into the deep garage where the cars are parked until Saturday morning, the day of the technical inspection. 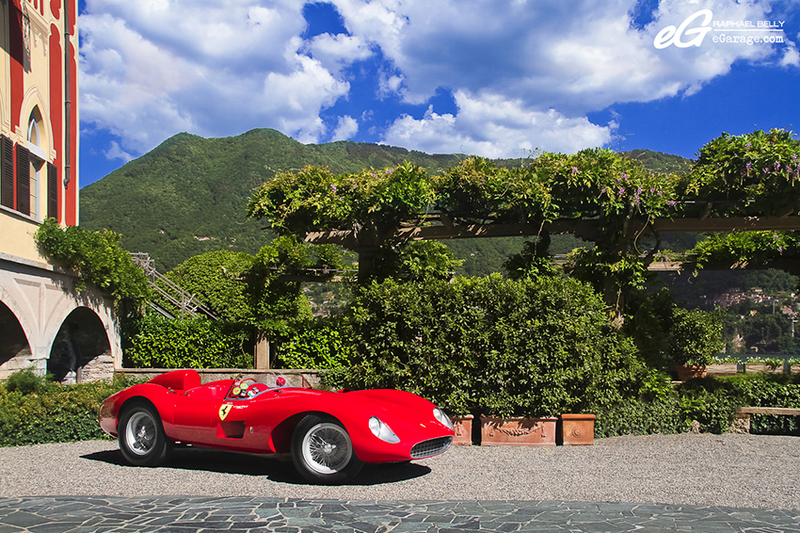 This is the fourth year that eGarage has covered the Concorso D’Eleganza Villa D’Este in Cernobbio, Italy. Why? 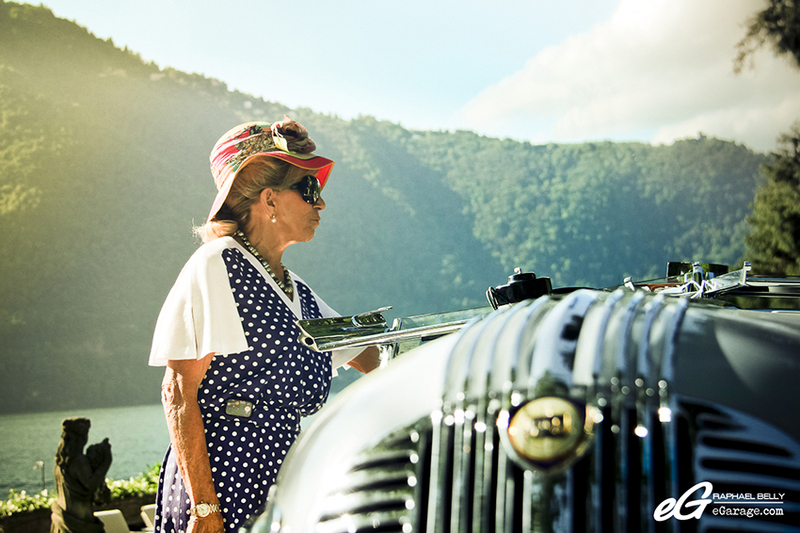 Simply because this is not just another common car event, but an event with a real soul. 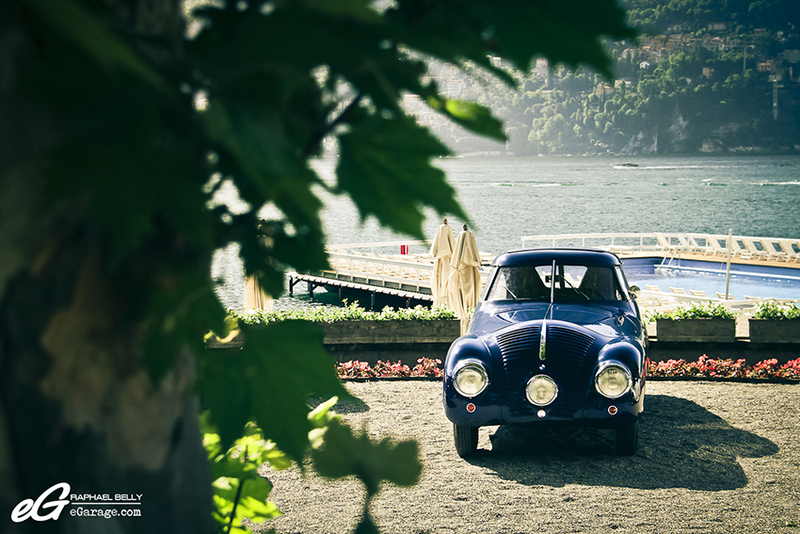 Back in the beginning of 2011, I was told by some friends of mine that there was a Concours d’Elegance in Italy, not that far from where we live (Cernobbio is only a 4 hour drive from Monaco) and they proposed that we go there together. Obviously I said yes. I’d have never imagined that this “yes” would have changed my link to the automotive world forever. As a matter of fact, this is the event that made me dive into old and classic cars. Before that I was rather attracted by modern cars and super cars. 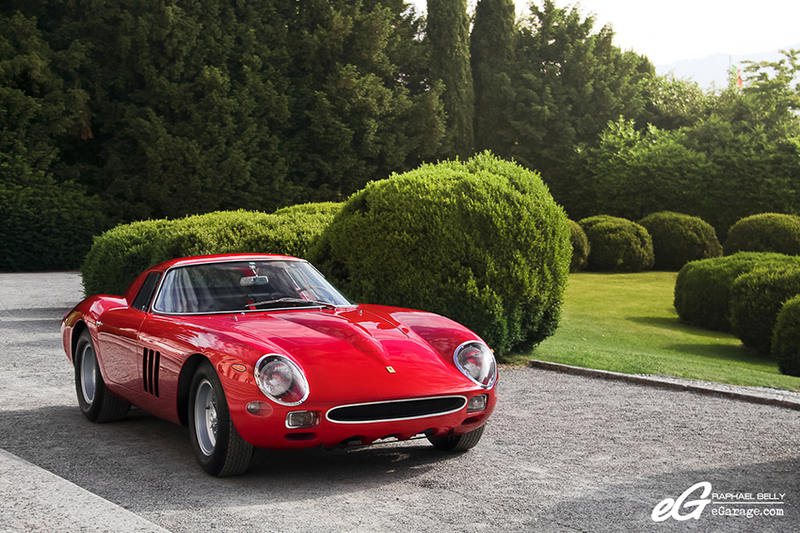 But Concorso D’Eleganza Villa D’Este changed that. 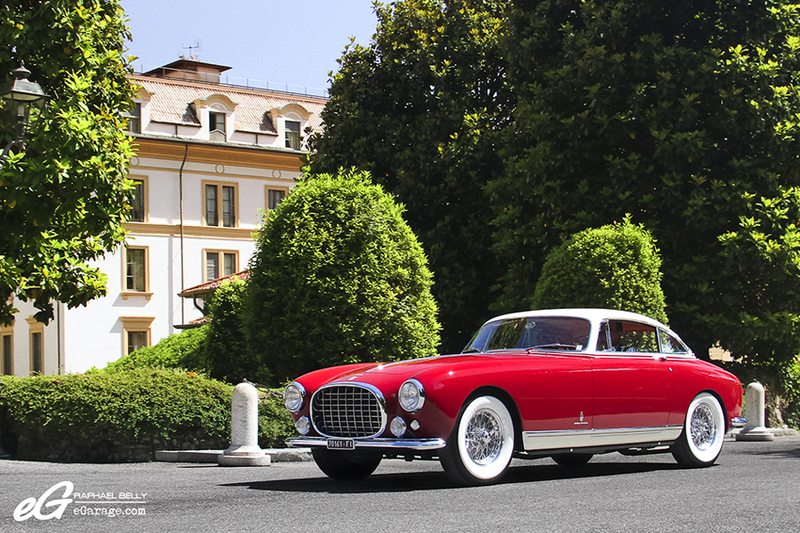 I discovered designs that I had never seen with the many coach built cars like Zagato, Touring, Vignale, etc. The cars smell wonderful, of old leather and oil. You don’t get these things from modern cars. I’m now more attracted by classic cars compared to modern ones because I find the old lines more smooth and beautiful, whereas on modern it’s a race to performance and the design results are extreme but not always elegant. In spite of this, it’s always cool to see the modern cars in Concorso D’Eleganza Villa D’Este within the Concept Cars & Prototypes category. 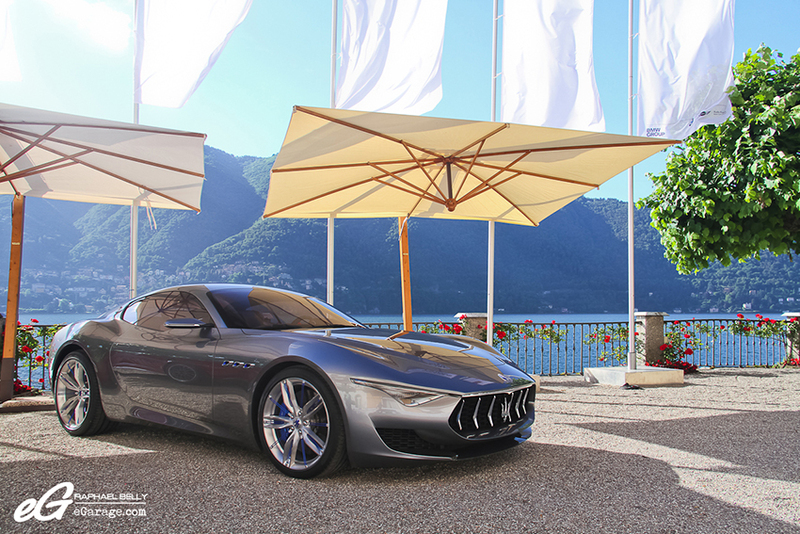 Celebrating its first century (1914-2014) Maserati is proudly displaying its Maserati Alfieri Concept, a beautiful 2+2 seater that won the Design Award for the Concept Cars and Prototypes category. 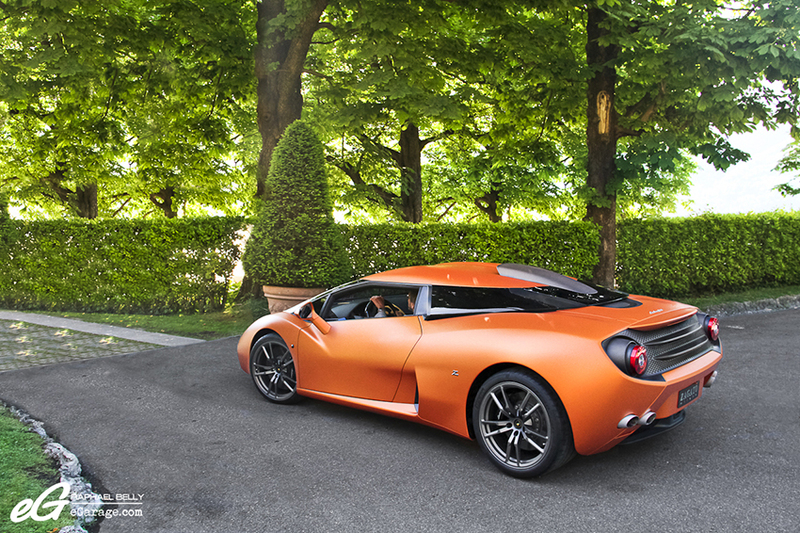 Lamborghini is unveiling for the first time the Lamborghini 5-95 Zagato, 5 as it’s the 5th Lamborghini Concept designed by Zagato, and 95 for the 95th birthday of Zagato (1919-2014). All these concepts are traditionally unveiled first on Saturday. 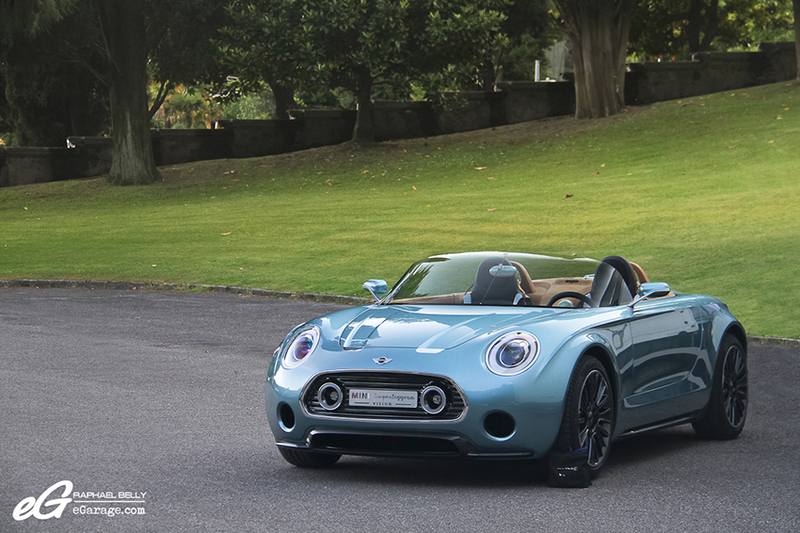 But on Friday evening when my friends and I were leaving Villa d’Este we fell on the Mini Concept, called the Mini Superleggera Vision Concept 2014. 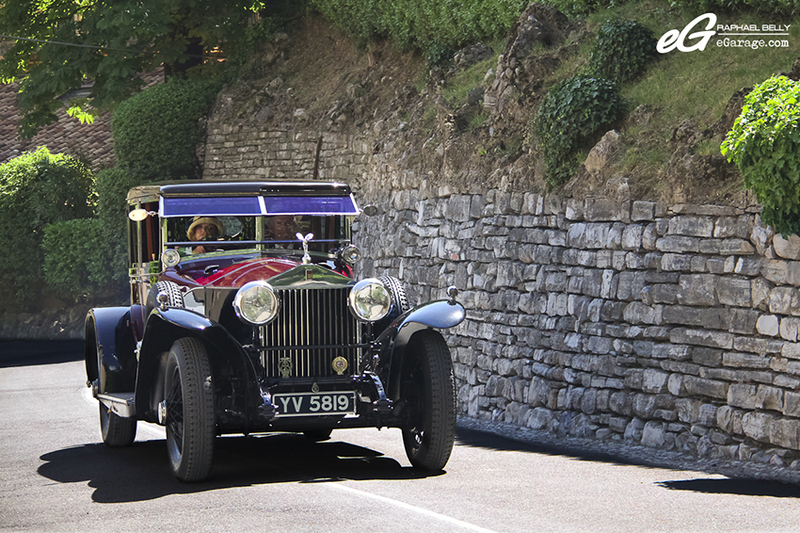 This year the classic cars are gathered in 9 classes. Class A – Rolls-Royce : 110 Years Of Excellence, celebrating the 110th birthday of Rolls Royce with various models : Silver Ghost Roi des Belges Barker, Phantom II Boattail Gurney Nutting, Wraith Sedanca de Ville Park Ward, Silver Cloud I Enclosed Estate Harold Radford, Silver Cloud III Drophead Coupé Mulliner. 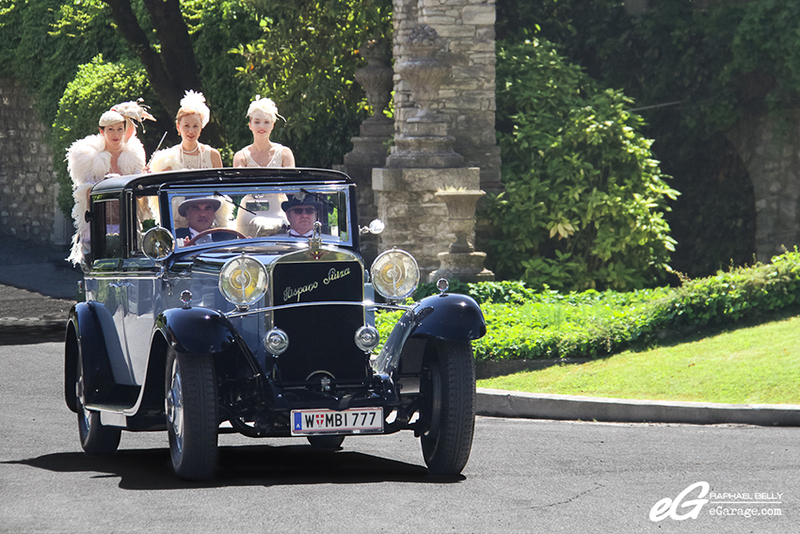 Class B – The Great Gatsby : Cars Fit For A Prince with Hispano Suiza H6 B Sedanca Landaulette Chapron, Duesenberg A Straight RoadsterMillspaugh & Irish, Rolls Royce Phantom I Saloon Hooper, Packard 640 Custom Eight Roadster Packard. 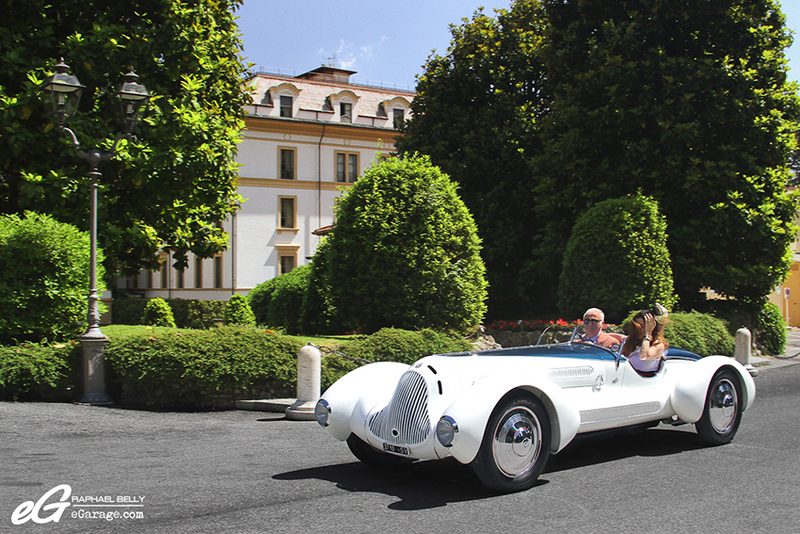 Class C – Gone With The Wind : Streamlined Styles Of The 1930s dedicated to cars with a specific design like the Alfa Romeo 6C 1750 GS Spider Zagato / Aprile, Mercedes-Benz 500 K Cabriolet A, Lancia Astura Type 233 Cabriolet Pinin Farina, Bugatti Type 57 Coach Gangloff, BMW 328 Coupé Streamline Wendler, Lancia Aprilia Type 239 Spider Pininfarina. 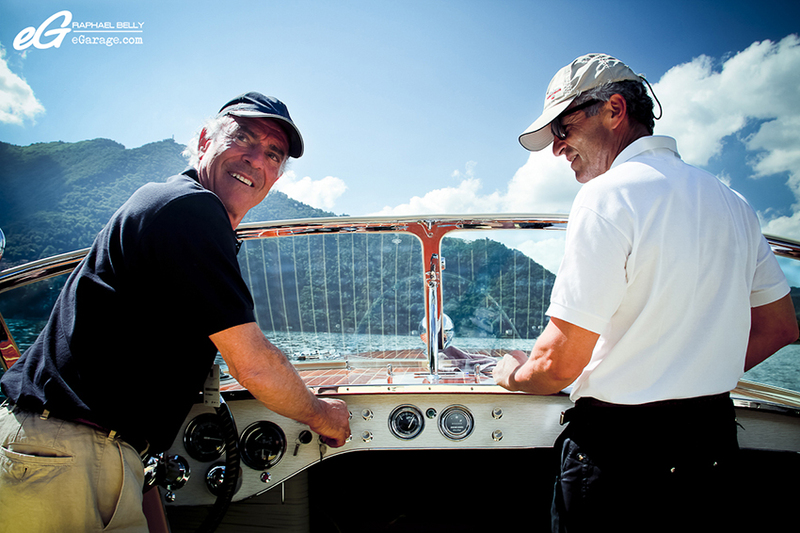 Class E – From St. Tropez to Portofino : Al Fresco Motoring For Two. 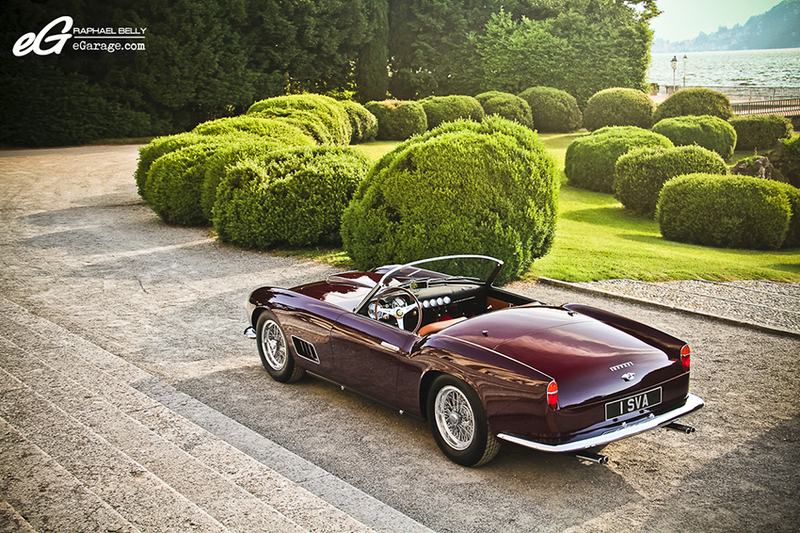 Composed of the most beautiful convertible cars, the perfect car to cross Saint Tropez to Portofino as, for example : Alfa Romeo 1900 C SS Cabriolet Ghia Aigle, Lancia Aurelia B24 Spider America Pininfarina, BMW 507 Roadster, Mercedes-Benz 300 SL Roadster, Ferrari 250 GT LWB California Spider Scaglietti, Ferrari 250 GT Cabriolet Pininfarina. Class F – Le Fuoriserie : Unique Flights Of Fantasy. 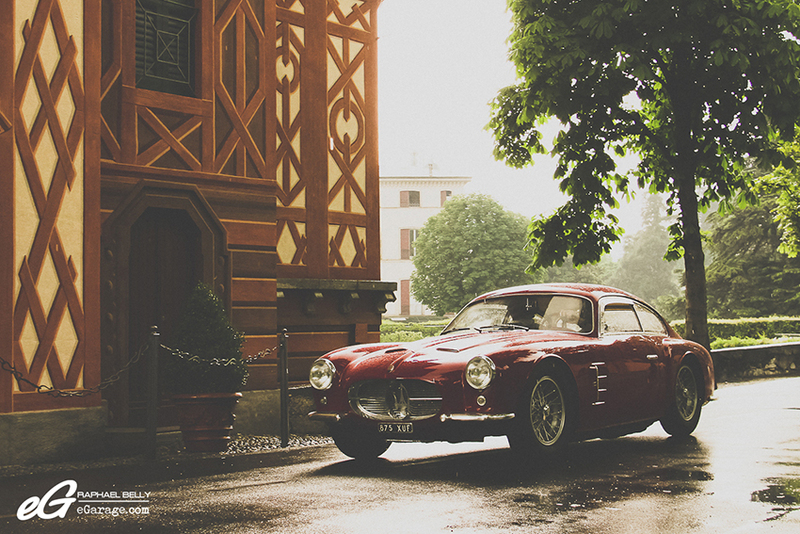 Le Fuoriserie (“special edition” in Italian) is made up of the following majestic cars : Hudson Italia Prototype H01 Coupé Touring, Ferrari 250 GT SWB Berlinetta Bertone, Alfa Romeo 6C 3000 CM Superflow IV Coupé Pininfarina, Mercedes-Benz 230 SL Coupé Pininfarina Fiat Abarth 2000 Scorpione Coupé Pininfarina, Fiat 132 Aster Coupé Zagato. 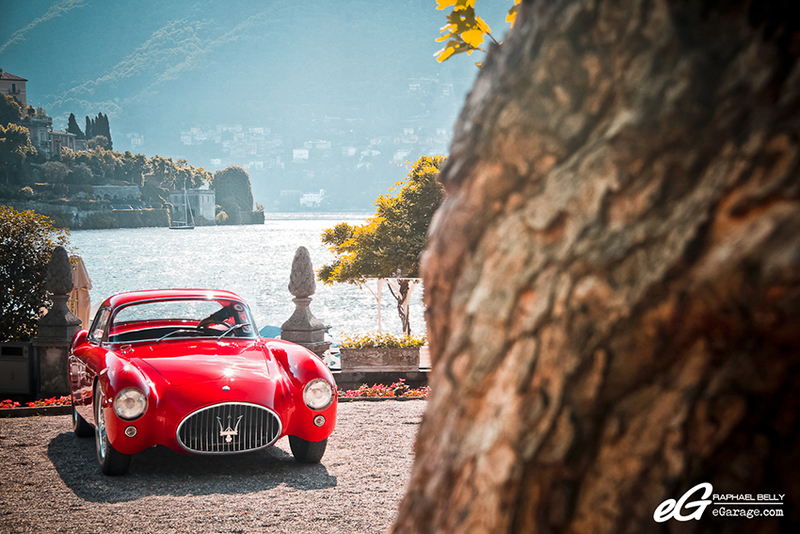 Class G – Maserati : The First Century, paying tribute to the 100 years of Maserati (1914-2014) like the V4 Sport Spider Zagato, A6GCS Berlinetta Pininfarina, A6G/54 Berlinetta Allemano, A6G/2000 Berlinetta Zagato, 150 GT Prototype Spyder Fantuzzi, Quattroporte (1st Series) Saloon Frua. 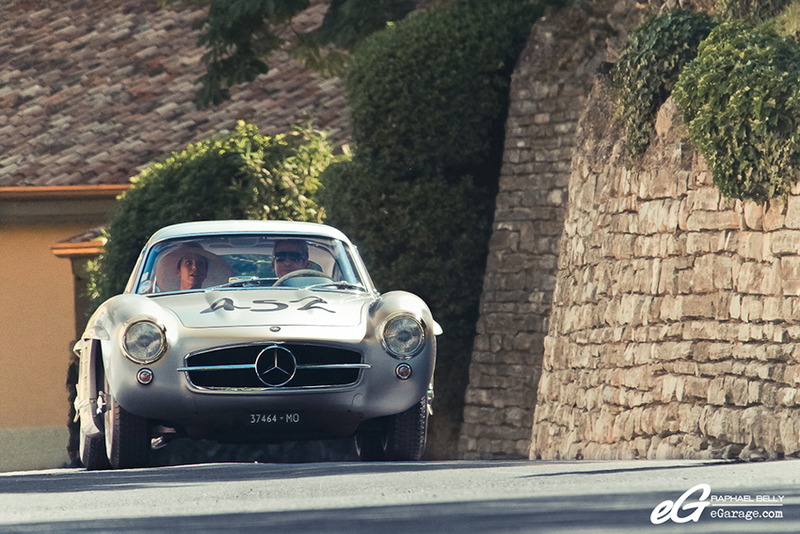 Class H – Gentleman Drivers : From The Track To The Theatre. Five cars in this class, Fiat 8V Berlinetta Rapi, Mercedes-Benz 300 SL Alloy Coupé Gullwing, Talbot T14 LS Lago America Coupé, Ferrari 250 GT Tour de France Berlinetta Scaglietti, Ferrari 250 GT Interim Berlinetta Scaglietti. Class I – Da Corsa : Racing For Glory gathering racing cars from 1952 to 1965. 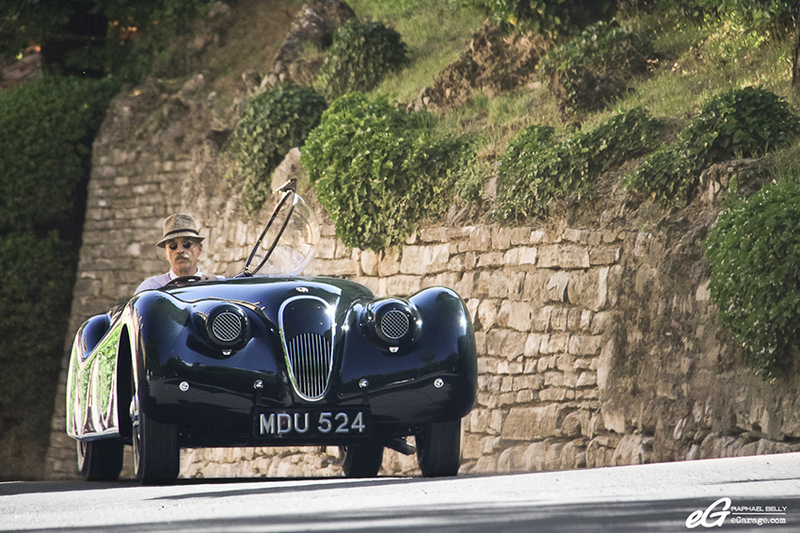 Only legendary cars here : Jaguar XK 120 2-Seater Sports, Jaguar D-Type, Maserati 450 S Roadster Fantuzzi, Ferrari 500 TRC Spider Scaglietti, Ferrari 250 GTO Berlinetta Scaglietti, Porsche 904 GTS Coupé, Shelby Cobra 427 Competition Roadster. 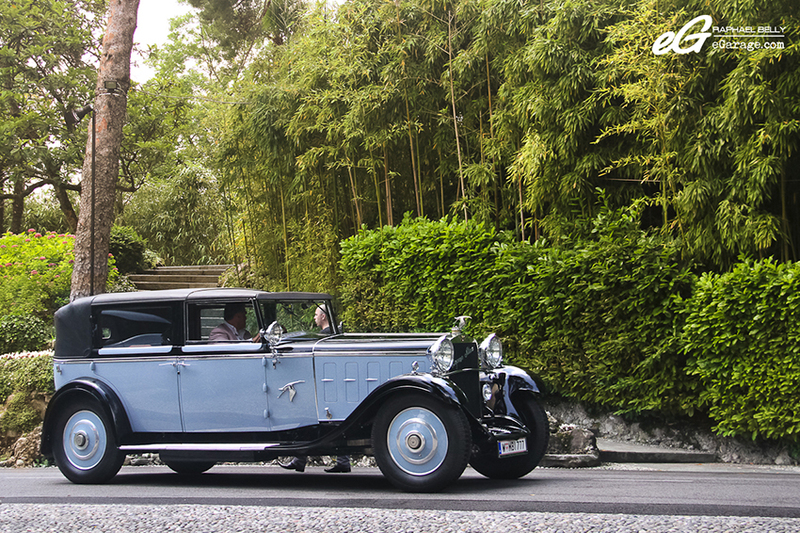 Most of the entrants are dressed with epoch look, to give a stronger feeling that we are traveling back in time. 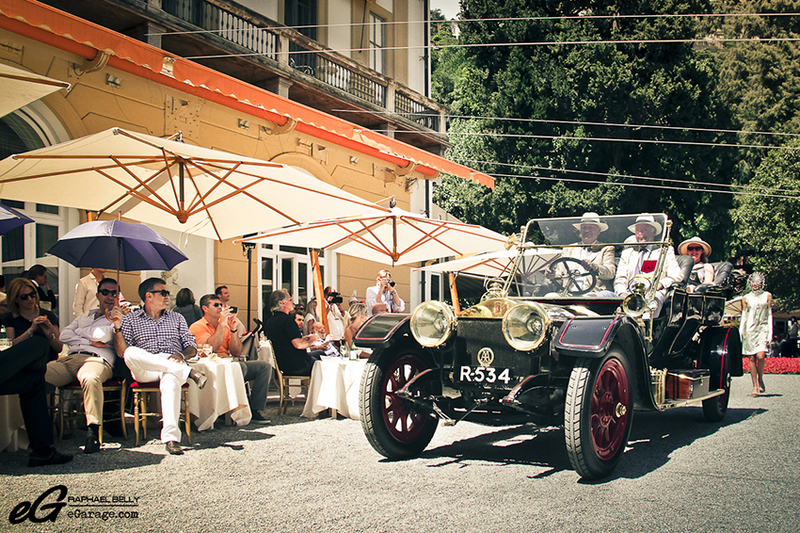 To assess their cars parked in the Villa D’Este grass, many eyes look at the car bodies : the spectators from all the ages obviously, the well known speaker Simon Kidston, but also the jury. The 2014 judges are Lorenzo Ramaciotti (automotive designer, Fiat/Chrysler head chief designer), Charles Lord March (Goodwood organizer), Patrick Le Quément (retired French car designer, formerly chief designer of Renault), Hideo Kodama (designer), Winston Goodfellow (writer & photographer), Harm Lagaay (Dutch automotive designer for Porsche, Ford, BMW), Stefano Pasini (author), Ian Cameron (ex Rolls Royce design chief), Martin Roth (museum director), and Adolfo Orsi (car expert). 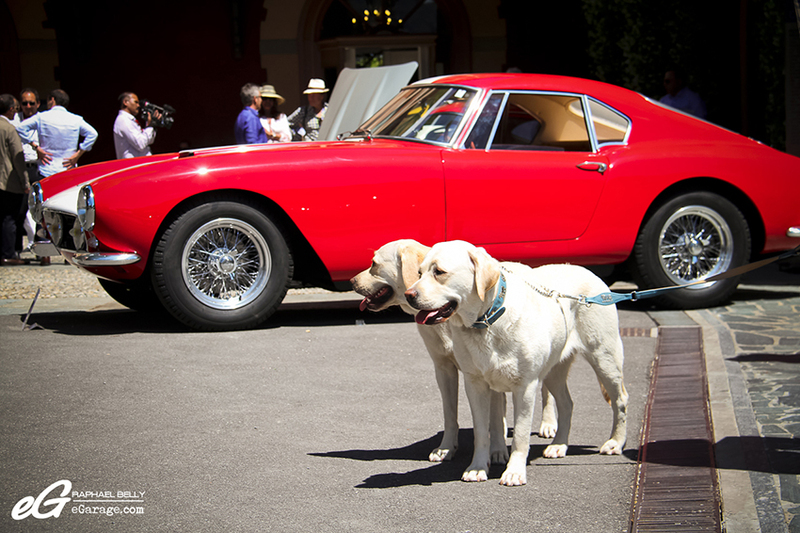 Their work during the two days of the Concorso D’Eleganza Villa D’Este is to investigate the cars : outside, inside, the engine, they speak a lot with the owner, look at all the car documents. Once they have a whole view of each car they get together and make the important decisions. 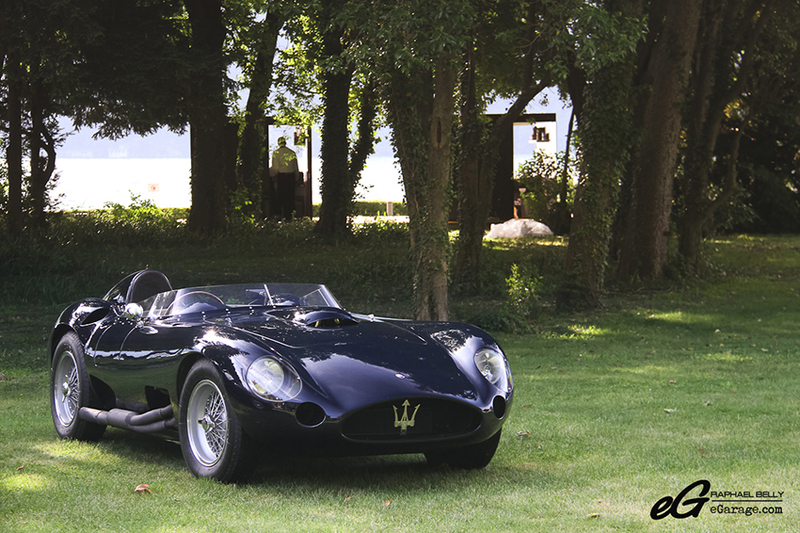 The Trofeo BMW Group (Best of Show by the Jury) went this year to the Maserati 450S from 1956. 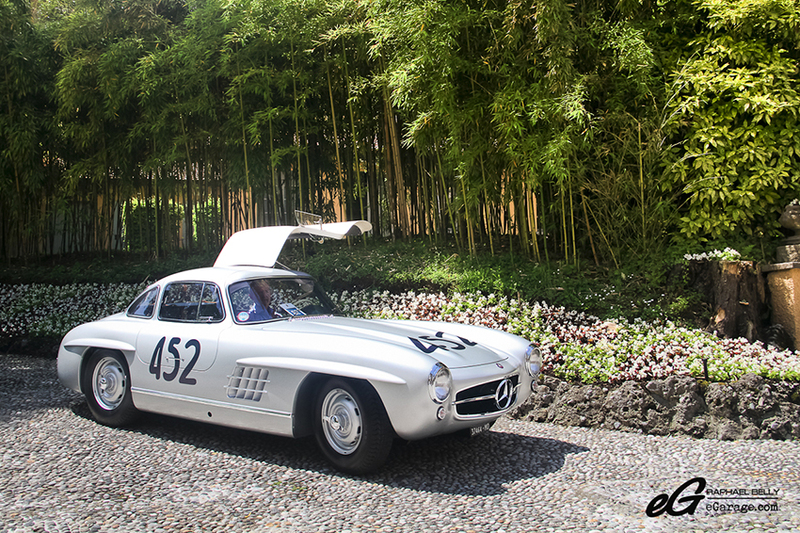 The best interior design by the Jury (Trofeo Foglizzo) rewarded the Mercedes 300 SL with its special alloy body. 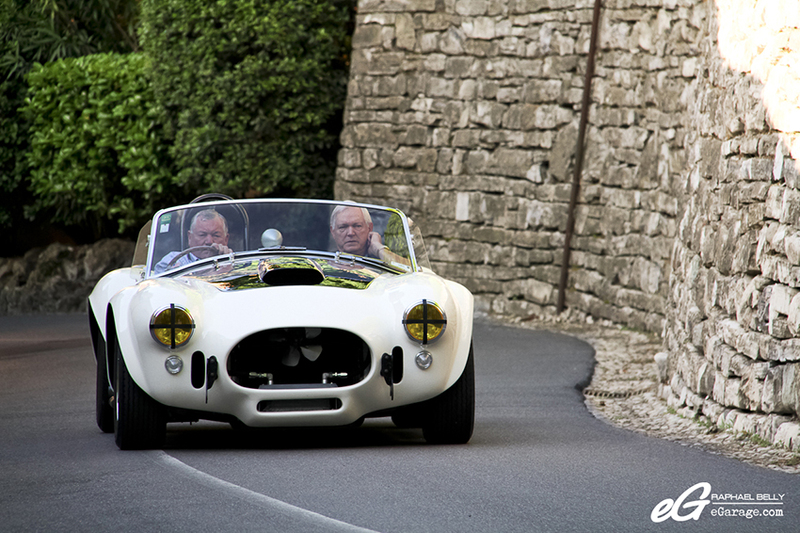 The 3rd prize called Trofeo Vranken Pommery (rewarding the best iconic car) was given to Gary Bartlett and his Shelby Cobra 427 Roadster Competition, one of the few Cobra made to race into GT championship in the 1960s. 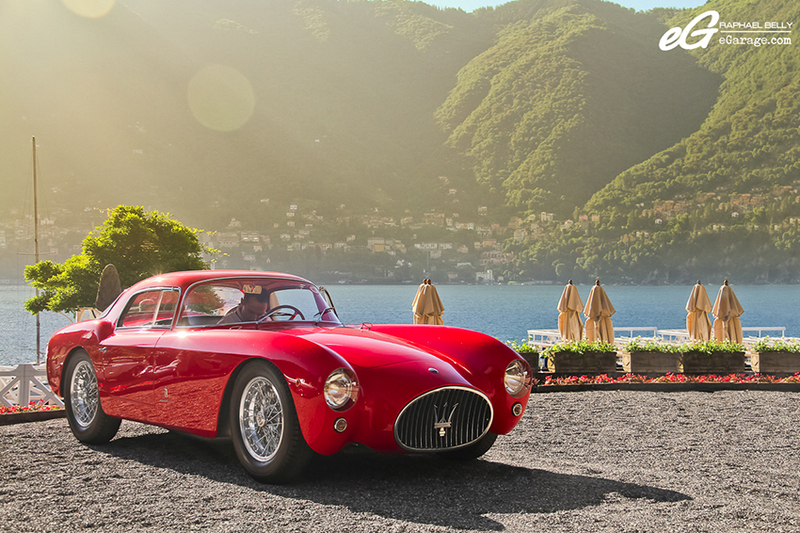 The Jury rewarded the Maserati A6G CS Berlinetta Pininfarina with the Trofeo Auto & Design (the most exciting design by the Jury). 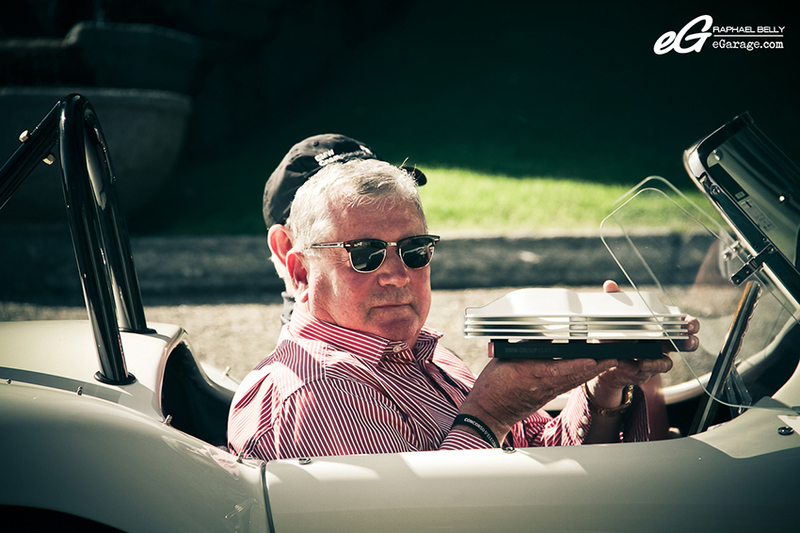 For the entrants, beyond meeting their car collector friends and attending all the events around Villa D’Este (dinners, receptions, etc) it is also the opportunity to get a prize. That’s why you can see the entrants (or their staff) cleaning the car until the last second, putting oil into the engine, adjusting their suit, tie and hat to be the best looking possible to win the Trofeo Roeckl prize (rewarding the best overall appearance of car, driver and passenger by the Jury). 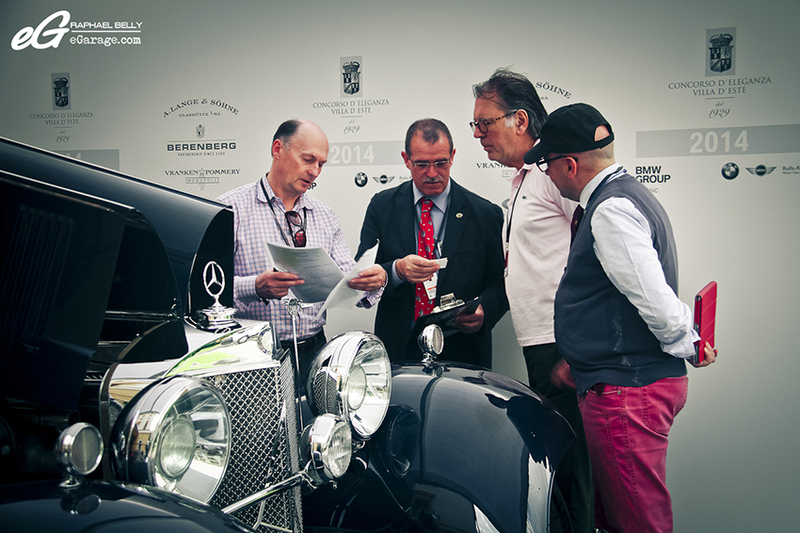 The prize was won by the Hispano-Suiza H6 B, owned by Alexander Schaufler, in good company as you can see. 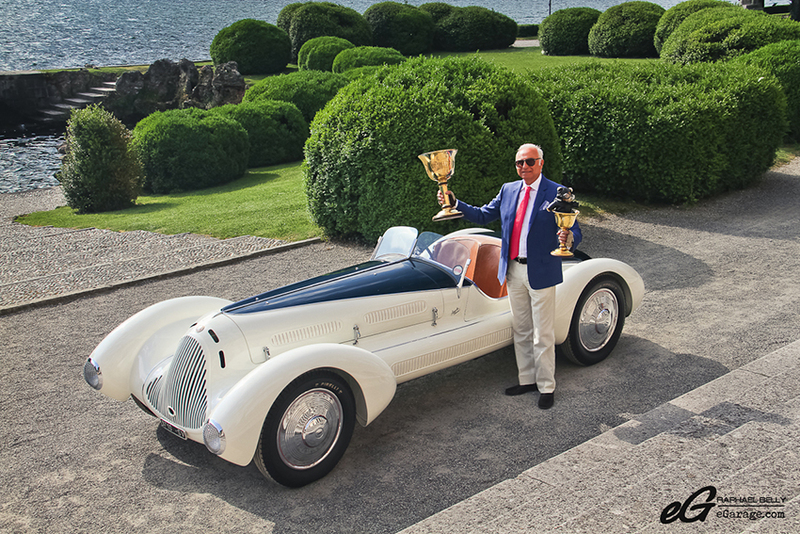 Corrado Lopresto and his gorgeous Alfa Romeo 6C 1750 Gran Sport Spider Corsa Aprile made the heads turn and won 3 prizes : Coppa d’Oro Villa d’Este (Best of Show by Public Referendum at Villa d’Este), Trofeo BMW Group Italia (By Public Referendum at Villa Erba for Historic Cars), and Trofeo BMW Group Ragazzi (By Young People’s Referendum -until the age of 16- at Villa Erba for Historic Cars). Still in this preservation point of view, two special prizes are given : the Trofeo FIVA (Fédération Internationale des Véhicules Anciens), for the best preserved pre war-car which came down to the Rolls Royce Silver Ghost, and the Trofeo ASI (Automotoclub Storico Italiano), for the best preserved post war-car that rewarded the Hudson Italia Prototype H01. 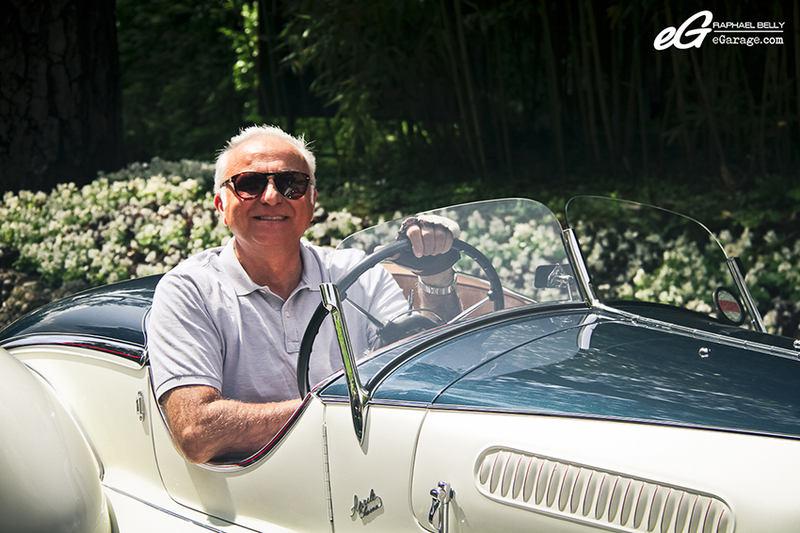 After three days of walking in the Concorso D’Eleganza Villa D’Este garden, after 1000 pictures taken, and already expecting next year the atmosphere to breathe the Dolce Vita, the glamour, the class. A little corner of heaven during two days across Lake Como. 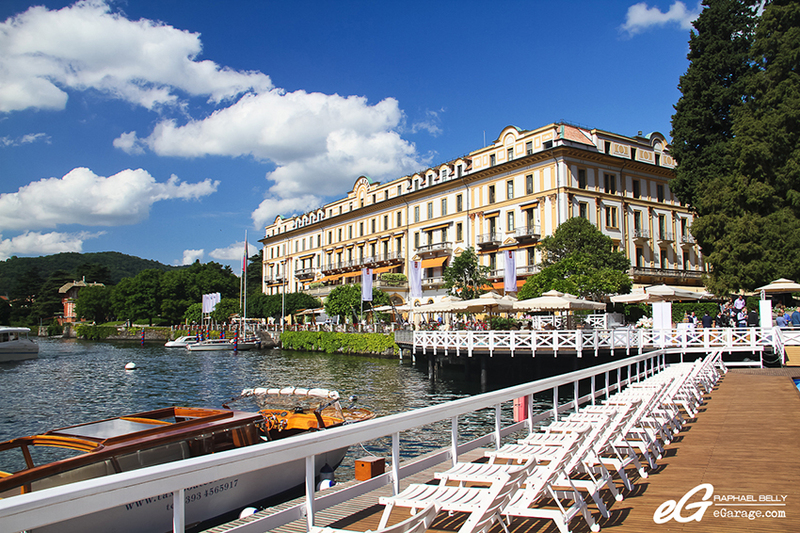 It’s already time to book your hotel, whether it be for the Concorso D’Eleganza Villa D’Este 2015 or just to travel this magnificent place.